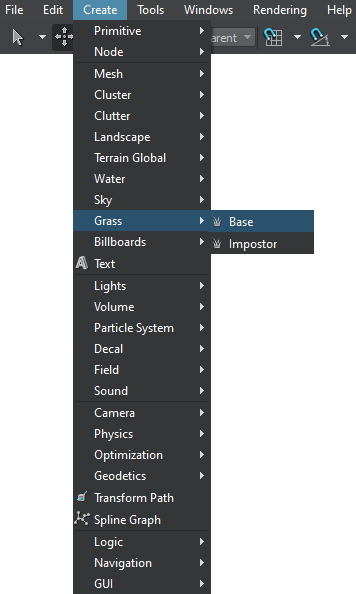 The article describes all settings available in the Node tab of the Parameters window for the grass node. On the Menu bar, click Create -> Grass -> Base. 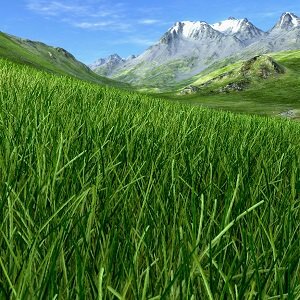 Place the grass object somewhere in the world. Set the required grass parameters described below. 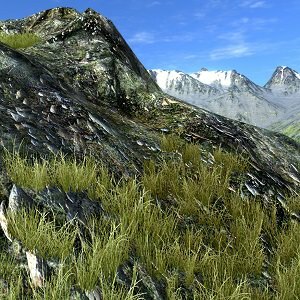 See also the tutorial on Adding Grass for a more detailed explanation on adding grass and setting its parameters. 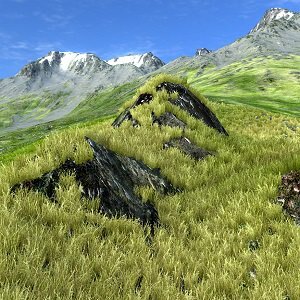 Sets a number of grass clusters (or plants, or flowers) lined up horizontally in the diffuse texture. Read more about this parameter here. This value cannot exceed 4. Specifies the length of the grass area along the X axis. Specifies the length of the grass area along the Y axis. Sets the size of the cells into which the grass field is split. The higher the step value, the bigger the cells the field is split into. But there exists a limit how many grass quads can be planted in each cell. So after reaching this limit, the number of grass quads can no longer be increased, though the Density parameter specifies it. The smaller the step is, the smaller the cells the field is split into. While the density value stays unchangeable (for each separate cell), the whole field becomes planted with grass more densely. To learn more about the parameter, read the Step for Cell Division chapter of the Grass article. Subdivides each cell into the specified number of parts. 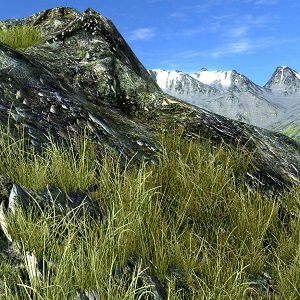 This is usually required when grass is used as a low-poly distant LOD of a forest created by using World Clutter or an ObjectMeshClutter with a smaller cell size: the Subdivision parameter subdivides large grass cells so that they match the smaller clutter cells. This way, positions of randomly scattered objects will coincide with positions of grass-based impostors. The range of available values is from 1 to 32. Determines how many grass quads are to be rendered per square unit taking into account the step of division and the number of cells. Mean value (i.e.Aspect, Min/Max Bend, Min/Max Height, Offset) defines the average value. With its help, the designer can set milestones to control the parameter. Spread value defines the range for a possible variation of the parameter. The higher the value, the more diverse the final result is. Spread value is	optional: if set to 0, it does not influence the simulation process and only the mean value is uniformly used. where Random is a random value in the range from -1 to 1. This means that the parameter differs for each grass quad on the field to the desired extent (see example with Min and Max Height below). Spread value is optional: if set to 0, it does not influence the simulation process and only the mean value is used for all objects. On the randomly chosen quads, flips the diffuse texture horizontally, automatically giving two variants available for rendering of varied blades. Determines the mean grass quad sloping value in areas with the minimum density according to the image mask. The higher the Min height value, the more bent the grass is in areas with the minimum density. Determines the mean grass quad sloping value in areas with the maximum density according to the image mask. The higher the Max height value, the more bent the grass is in areas with the maximum density. Determines the mean value for the height of grass blades quads rendered in areas with the minimum density according to the image mask. The higher the Min height value, the higher the grass is in areas with the minimum density. Determines the mean value for the height of grass blades quads rendered in areas with the maximum density according to the image mask. The higher the Max height value, the higher the grass is in areas with the maximum density. Aspect is set for each of the diffuse texture columns separately and can be randomly varied if spread value is set in addition to mean one. Specifies the offset in units up the surface normal, thus accurately repeating its relief. It is set by mean value (only positive) and additional spread value (positive or negative), if variation is required. Sets the grass rendering probability per diffuse texture column. Sets an integer value used to generate pseudo-random successions of numbers. The parameter is used to randomly position grass blades quads across an area by an image mask. To get a random seed value, press the Randomize button. Mask that determines the density distribution of the grass. Green - for the 2nd texture column. Non-zero channel values create a grassy area: the higher the value, the denser the grass grows. Controls starting from what density (according to the mask), the grass should grow. This means, that if in some particular place the threshold value is higher than the color or alpha value of the mask, it is rendered grassless. With the minimum value of 0, the grass is planted on the whole area, that is specified as available by the mask. With higher threshold value, the grass will grow only in the areas marked by the mask as dense. The areas of sparse distribution stay bare. With the maximum value of 1, there will be no grass at all. Image mask minimum value of the color density range. Read more here. Image mask maximum value of the color density range. Read more here. Flips an image mask horizontally. 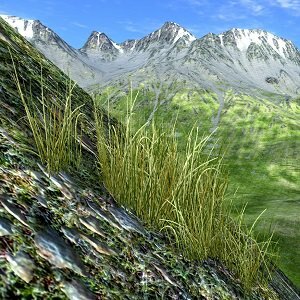 After flipping the image mask by the Y axis, the grass has started growing on the stony area. Density and color of grass growing on the presented area have also changed. Mesh-based mask that is used to specify areas where grass can grow. A mesh for masking should be a simple planar mesh. Toggles the value that indicates if grass grows inside or outside the mesh contour. If used together with a Field Spacer object, the field mask specifies areas of the grass field that should not be rendered. If used together with a Field Animation object, the field mask specifies areas of the grass field that should be animated. The field mask set for the grass object must match the field mask of a Field node applied to the grass object. Cutout bit mask. 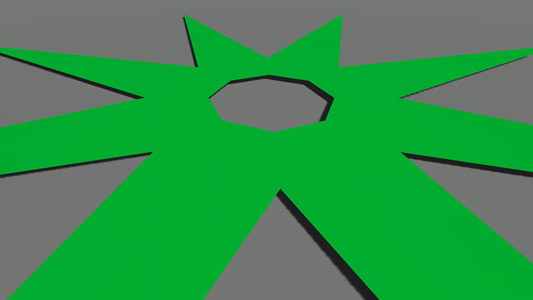 This mask is used to cut out the grass in the areas of intersection with objects and decals (e.g. can be used to remove grass under houses or from the surface of roads projected using decals). The grass will be cut out by objects and decals that have their intersection masks matching this one (one bit at least). Toggles the value that indicates whether the grass should be rendered inside or outside the areas determined by the cutout intersection mask. Flag indicating whether grass should follow the relief. Flag indicating whether grass polygons are oriented along the normal of its parent node (for example, terrain). Sets the ground slope angle. By the minimum value of 0, grass will grow everywhere on the ground. The bigger the value is, the flatter the place should be for grass to grow. 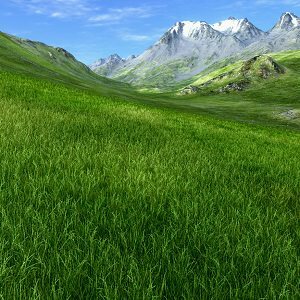 So, as the value is increased, steep slopes turn out to be bare at first, and then low-sloped places also become grassless. By the maximum value of 1, grass will grow only on the strictly horizontal ground. Flag indicating whether grass is thinned out with a distance. If the flag is set, random grass polygons are not rendered across the grass Fade distance. If the flag is not set, all grass polygons are rendered between the grass Visibility distance and the Fade distance. 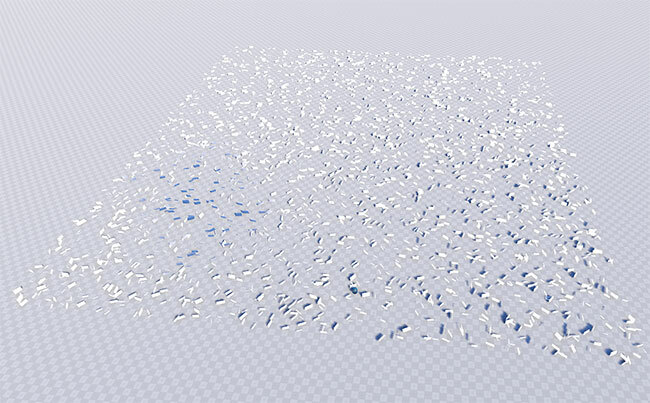 Sets the number of cells rendered each frame. The higher the spawn rate, the more likely a performance spike will occur. 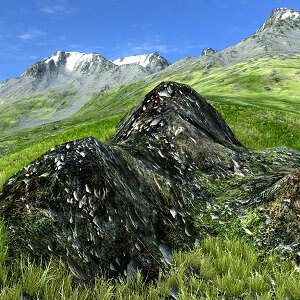 Counter that shows the total number of grass polygons. The shown values can be, for example, compared after changing some parameters in order to improve performance.